A SACRED MAYA BURIAL SITE CONTAINING ARTIFACTS DATING OVER 2 MILLENIA. IMPRESSIVELY RIVALS THE ATM CAVE BUT WITHOUT THE WATER ELEMENT. This ancient ceremonial cave will amaze you with it’s abundance of poteries & a stelae which were used for ceremonial purpose & can be viewed up close. 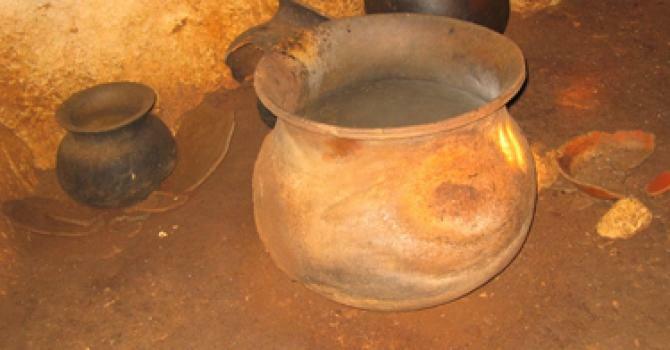 Some of the earliest Maya ceremonies in caves have been recorded here as well as some of the largest ceramic vessels, a lot of which has to be accessed by ladder. Your adventure starts at 8:00 AM with a drive littleless than one hour to the site. To explore this cave’s ceremonial chambers, ropes and ladders are needed. 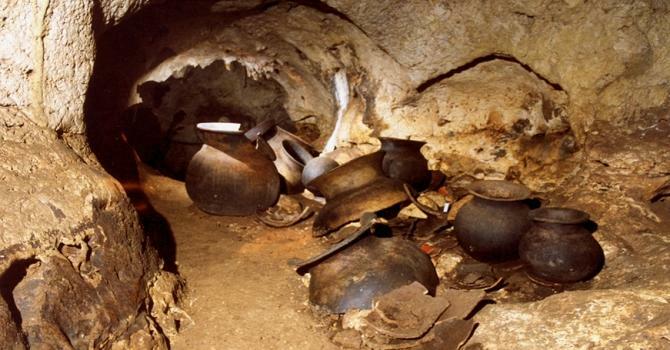 You’ll be fascinated by the abundance of intact pots in this cave. After exploring the interior, we then hike back to the cave’s mouth. We also have the option of finishing off the day with a refreshing visit to a small waterfall of 214 feet in height before heading back to San Ignacio. Note: To examine some of the pottery you’ll need to climb ladder & hold on to ropes. Getting to the cave entrance requires mildly challenging, but quite scenic 35 minutes hike through the jungle. This is a half day tour so no lunch is included.